Certain kinds of glass can’t be recyclable because of the effort required to sort and separate the smaller fragments. 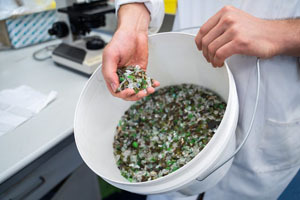 These chips tend to be discarded or sent to the landfill – but researchers from the University of Queensland have uncovered a method to turn this kind of non-recyclable glass into useful items. A chemical found in drain cleaner can break down glass into silica, which can then be extracted for commercial uses for substances such as adhesives, detergents, ingredients in cleaning compounds, cements, binders and coatings. 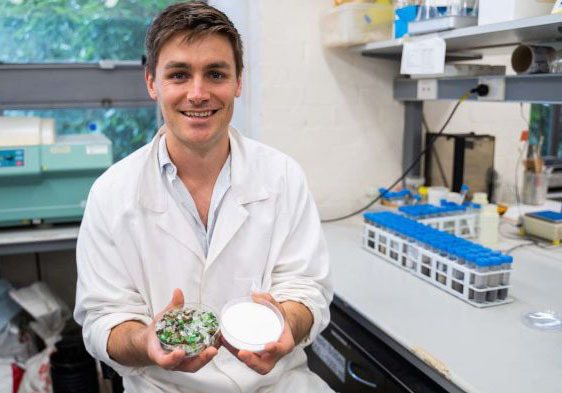 “We are taking waste glass that is currently going to the landfill because it is too small to be sorted into the right colour,” said University PhD candidate Rhys Pirie. Unlike traditional methods of producing liquid silicate, the researchers’ technique requires relatively little energy, which also makes it far cheaper. “The glass industry has a huge amount of silicate it cannot recycle because it is too broken or it is too small,” said Professor Damien Batstone, another researcher who helped to develop the technique. “It is currently stockpiled at the moment as it can’t be used. We’re going to take it through a much simpler process to turn it into this commercial silicate product. The university’s commercialization company, UniQuest, is now seeking partner companies that are interested in taking the technology to market.